In today’s job market, it’s important that we, as managers, understand how to speed up hiring for our organization. No longer can we rely on top talent being available and waiting on us to make an offer. As ERE points out, in today’s market, candidates rule and businesses need to be on their toes if they want to hire the best. There are several key ways that you can modify your hiring process in order to speed things up and hire the best before they are hired by someone else. Before you ever begin the hiring process, you need to have a solid plan and strategy in place. This means determining a schedule for the process. Set dates for when you need to have face-to-face interviews with candidates. Determine how many follow up interviews you will have and who will be present from your team during these interviews. Determine any assessments you plan to conduct in order to test skill and cultural fit. Set a date for when you need to have a new hire on board and training. While you are creating your plan and strategy for the hiring process, it is important for you to consider your methods of interviewing. Do you plan to conduct all interviews in-house? Have you considered video interviewing? It should be no surprise that video has become quite popular in many hiring strategies today. Not only does it allow for more flexibility when it comes to the candidate’s and manager’s schedules, but it can also help to speed the hiring process up quite a bit. Rather than having to wait and schedule a time when both the candidate and the interviewer are able to appear in the office, video interviewing allows both individuals to conduct the interview from anywhere with a more flexible timeframe. 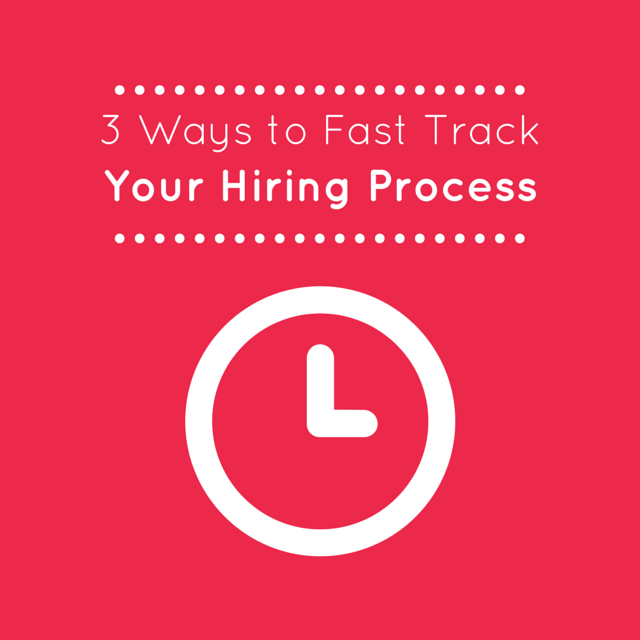 Consider speeding up your interview process by mixing up several different interview methods. Take into consideration the flexibility and speed it offers to accept video resumes, conduct a one-way video interview or live video interview, as well as a combination of phone interviews and face-to-face interviews. No matter how much effort and thought you put into your strategy and plan, it has no worth if you fail to follow through with your plan. Hold yourself accountable to your new plan and strategy. After you have given the plan a few tries, review the strategy and consider any other adjustments that you should make in order to improve and speed up the hiring process. What are some changes you have made to your hiring strategy in order to speed up the process?